The best thing for the inside of a man really is the outside of a horse.The Thoroughbred Retirement Foundation is a nationwide horse rescue organization that partners with prisons around the country, teaching prison inmates to train and care for abandoned thoroughbred horses.Asking who is rescuing whom is one of those wonderful questions to which the answer is always, “Yes.””These horses are equine mentors. They help people find things they never knew they were missing. They were missing parts of their soul,” says Vail Valley local John Rainey, the executive producer of “Homestretch.””Homestretch” is screening 6 p.m. Thursday at the Lodge at Cordillera.The film runs 58 minutes, following race horse King’s Honor and two prison inmates. Both inmates in the film were eventually paroled. One took his horse home with him to Kentucky.Rainey says he put King’s Honor on screen because, “he’s just too damned good looking to stay in jail.”Homestretch has been telecast more than 1,300 total hours on 74 percent of PBS stations, Rainey says.”The world is full of documentaries. This one has just been blockbuster,” Rainey says. Inmates become part of the Groom Elite program. They learn to be experts in farrier work, detailed horse anatomy, to diagnose basic horse illnesses and a little about what to do about it.”If you don’t teach these people a trade alternative to help them become members of society, they’re going to end up back in jail,” Rainey says. “They know how to do the kinds of things that landed them jail in the first place.”For inmates who complete the program, almost none land back in jail.”We’ve only had one fellow come back in South Carolina out of hundreds of graduates,” Rainey says. “It’s something of which they are very proud. Second Chances is the best vocational program in South Carolina.”Many rescued horses have been trained for second careers, as show jumpers, companion horses, handicapped riding horses, even polo horses.Between 12-20 inmates per prison are with the program. They learn that the hay goes in one end and comes out the other. In between those two extremes is an entire horse that needs constant and consistent care and affection.Chris Huckleby, an inmate in Kentucky, said in a video that the program is great for both horses and trainers.”I can see an accomplishment every day. 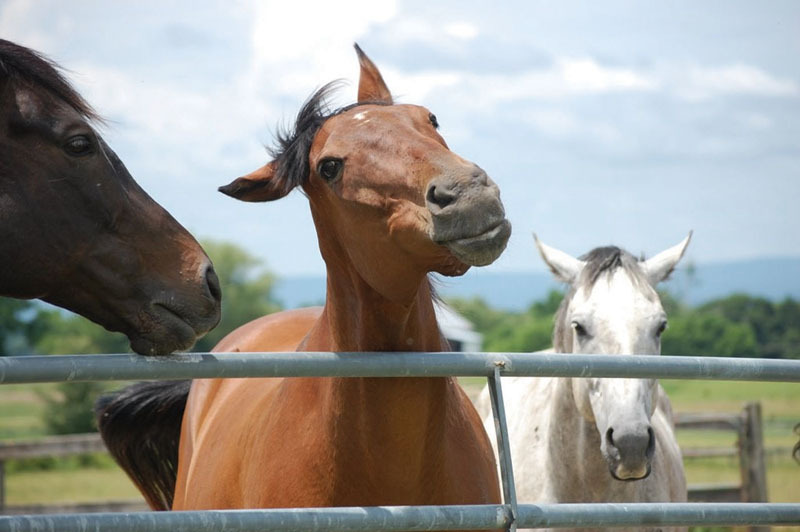 That means a lot that to both of us,” Huckleby says.A women’s prison in Ocala, Fla., is home to 50 horses. On any given day, 15-18 inmates care for them, doing everything from feeding to mucking out stalls to training and riding.